Welcome to Mayhem's Silvia Site. 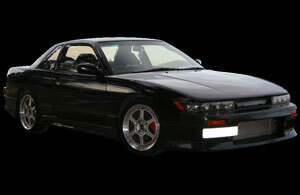 This site is dedicated to my car and Nissan's / Silvia's that my friends own. Here you will find information about my car's progress and my attempts at modifying it into an all round clean, not too flashy, performance machine. I hope you enjoy this site and find the information helpful. Unfortunately no Dyno Runs as yet to see how she is running, but should be done very shortly... should update more soon. Will try and update pictures of the car when I get some time. Best Viewed at 800 x 600 or better. Copyright © 2003 Mayhem, All rights reserved.